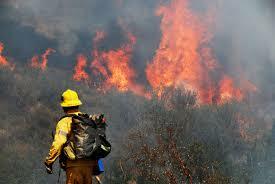 California wildfires can happen at any time. If you live in an area that is prone to fires, Einhorn Insurance can assist you with Brush Area Insurance. Is Brush Area Insurance different than home insurance? No. By obtaining a brush area insurance policy, this also acts as a standard home insurance policy in most cases. Coverage may vary from policy to policy, depending on the carrier that is willing to insure your home. In the event you only qualify for a limited policy, Einhorn Insurance offers a supplemental policy that will fill in the gaps to make a complete policy. How long does it take to get a quote for brush area insurance? At Einhorn Insurance, we try to provide estimates the same business day. In some cases, if a property has unique features or we want to obtain multiple estimates, quotes may take 2-4 business days. Once you provide us with necessary information about your home, we immediately go to work to find you a policy that best fits your needs. Will I be able to close escrow on time? Many of our quote requests are from California residents in escrow and are having trouble finding insurance. It is common to buy a house and even though the current owner has insurance, that company may not be willing to provide you, the new owner, with the same policy. This is because more and more carriers are slowing pulling out of certain wildfire areas thoughout California. Einhorn Insurance handles brush area insurance for many escrows. We will work directly with escrow and your lender so you can close in a timely manner. Will I have to pay obnoxious amounts for brush area insurance? Not usually. Our goal is to find you a cost effective policy with the most comprehensive coverage. Most carriers offer flexible payment options. For more information on Brush Area Insurance in California, visit https://einhorninsurance.com/wildfire-insurance/ and click the yellow GET A QUOTE button. You can also call 619-466-4644 x2. We service homes throughout California. © 2019 Einhorn Insurance Agency. All Rights Reserved.